The automotive industry in China is the largest in the world measured by automobile unit. The country is making strides in the automotive sector and all major companies working in the field are heading to the country. 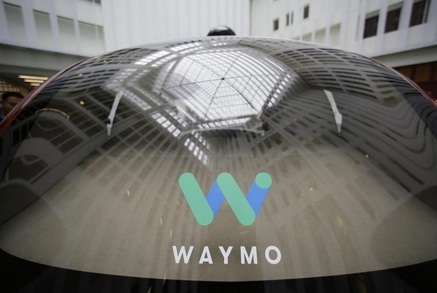 Latest company joining the growing list of companies trying to enter the Chinese market is Waymo that has set up a subsidiary in the country. The company has set up a unit in Shanghai called Huimo Business Consulting (Shanghai) Co, according to a report by Bloomberg. The company has capital of 3.5 million yuan ($441,000), Waymo LLC is listed as an investor. Waymo Chief Executive Officer John Krafcik is listed as a director of the company. According to the report, Huimo will focus on the design and testing of self-driving vehicle parts and products, supply chain and logistics consulting, and business consulting. Chinese search engine Baidu has shed its image of ‘Chinese Google’ and has emerged as a force to reckon with in the last few years. The company with its Apollo platform and through collaborations with major automotive players is coming forth as a significant player.In addition, many other technology companies based in China like Tencent, Alibaba, etc are too have been making their presence felt. It would be interesting to see in this context how Waymo carries on its operations in the country.